Awesome Sauce Indie Box - Mermani - Polish Etc. Today, I have the newest Awesome Sauce Indie Box to share with you. This is a quarterly indie nail polish box that features four regular contributors and one guest maker. It comes in both a full sized option as well as a mini option (which I think is a great idea). The theme for this box is Mermaids and it included a bunch of extra goodies that are all mermaid inspired. The indie makers in this box are Lavish Polish, Ever After Polish, Vapid Lacquer, Anonymous Lacquer and the guest maker Literary Lacquers. All of these brands are great. If you haven't tried them yet, then this box of a perfect way to sample their awesome. Haha. Let's take a look at these lovelies. Lavish Polish has contributed a fancy shade to the box called "Golden Mermaid". 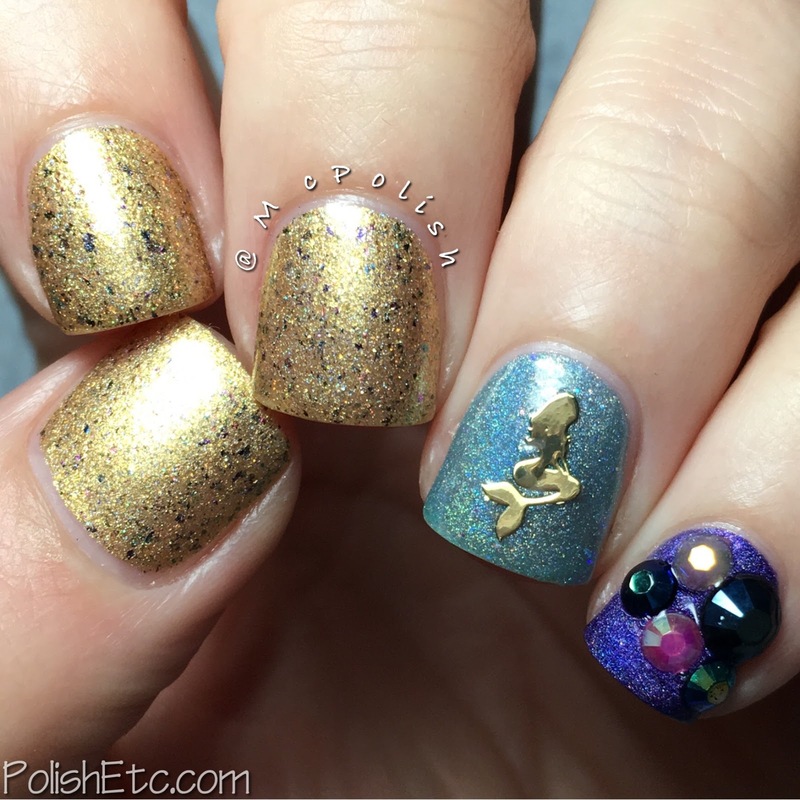 It is a warm gold metallic holo that is sprinkled with a rainbow of small ultrachrome flakies. Very pretty! And the formula was excellent. I did two coats here with a glossy top coat but it was almost opaque in one coat if you were very careful. Lavish Polish has also contributed a small bag of mermaid shaped charms and glitters as well as some tiny seashells and starfish charms. Ever After Polish has provided a stunner for this box! 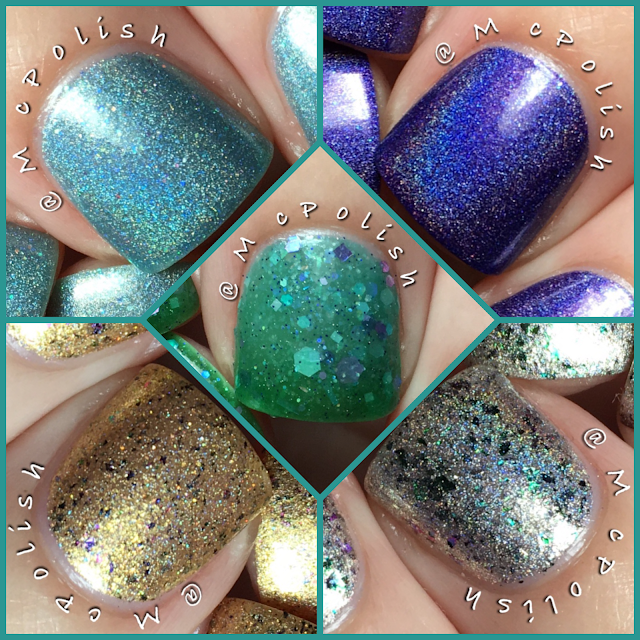 "Scaling the Open Seas" is a silvery linear holo with a mix of green/teal/blue multichrome flakies in various sizes. The formula on this one was also great. The flakies distributed nicely and it only took two coats to get full coverage. 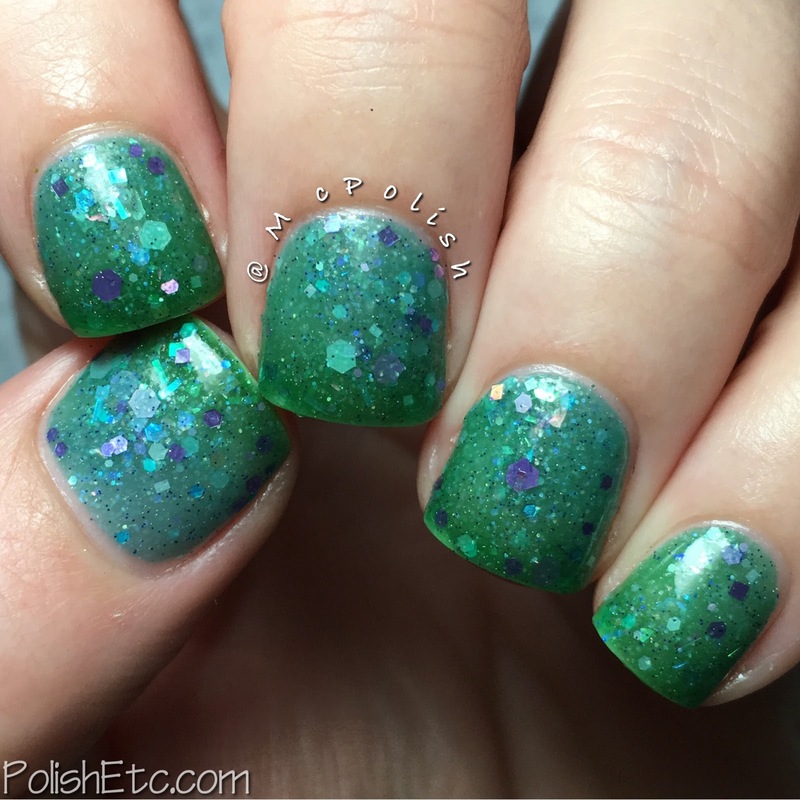 Ever After Polish also contributed their ever popular Cuticle Crelly moisturizer in the scent Mermaid Lagoon which has a light floral scent. Vapid Lacquer has contributed a mermaid themed thermal polish to the box. "No Clam Shell Needed" is an aqua blue jelly that transitions to a grass green when cold. This polish is also packed with a mix of iridescent glitters of various shapes and sizes as well as flakies and tiny matte microglitters. The base is pretty sheer in its warm state but the darker green color when cold makes it a little more opaque. The formula was a little tricky for me. All of the glitters make it thicker than I would like. I did three coats with a glossy top coat for this swatch. Anonymous Lacquer has added a lovely holo polish to the mix. "Mermaid Magic" is a super opaque deep purple navy with a strong linear holo and soft blue microflakies. This is a must have for holo lovers. I did two coats with a glossy top coat here but you could definitely get away with just one if you are careful. Anonymous Lacquer has also contributed a large sample of their cuticle oil (which smells amazingly fruity and comes in a great little applicator bottle) and a small bag-o-gems for nail art. Literary Lacquers is the guest maker for this box. "Each to Each" is a soft, ocean blue jelly with a nice linear holo effect and a sprinkling of tiny iridescent hex glitters. This polish is very delicate looking. The jelly base makes this a little sheer but the formula was amazing. I did two thicker coats with a glossy top coat here but some people may want to do three coats if their nails are longer than mine. Another small guest to the box is Lou It Yourself, they have contributed a small strip of mermaid scale vinyls for nail art. 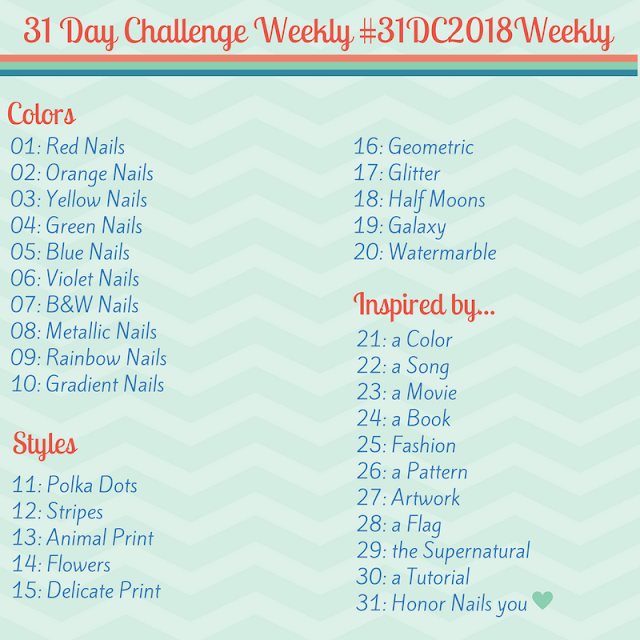 I did a little mermaid skittlette mani using several of the items in this box. There are more than enough fun little items in here to create several manicures of mermaid fun! I can't wait to see what everyone comes up with using these items. The Mermani box goes up for preorder on January 29th. You can get the full sized polish box for $50 and the mini sized polish box for $30. That is really a steal when you look at all the extra little goodies you get with this. I am not sure if there is a limited quantity on the Awesome Sauce boxes but I do know that you will not be able to get these polishes after the box is gone. So if you love any of these...you need to snag them! Just keep flippin' those fins! I love this entire box! Every polish was amazing! It is a pretty awesome box. I love all the extra bits in it, too. I know you love those holos! Fabulous!! You always do an excellent job!!! Thank you!! They are all so pretty but 'Each Too Each' is so beautiful! I know! It is just so soft and delicate.